Despite interruptions in ore production and processing due to the floods in May last year, lead and zinc mine Veliki Majdan, whose majority owner is the British company Mineco Ltd., exceeded the annual lead and zinc concentrate production plan by 24 percent. Although app. 47 000 tons of ore was excavated, 2 562 tons of lead concentrate and 3 582 tons of zinc concentrate was obtained, exceeding that way the planned production of lead and zinc concentrate by 16 and 31 percent respectively. Since the launching of the production process in this mine six years ago, it is constantly being worked on the modernization of machinery and creating better working conditions for employees. Only in 2014 out of current revenues, app. 335 000 euros has been invested in the renewal of mining and other equipment, including fixed assets, and during this year for this purpose is planned additional investment of around half a million euros and hiring of 40 new employees, in addition to 295 people, who are currently working in the mine. In addition, the mine Veliki Majdan fully meets its obligations to the state in the form of paying the fees for the utilization of mineral resources, as well to employees in terms of regular payment of salaries and benefits, especially to miners and other workers who work on the jobs with benefits for early retirement options. “Despite the fact that the mine didn’t work for ten days due to flooding, last year was more than good. We exceeded the annual plan in the production of lead and zinc concentrate. This was achieved thanks to the principles that underpin our business philosophy: investing in production, state of the art equipment and employees, “- said Zdravko Vitorović, deputy general manager of the mine Veliki Majdan, adding that the mine completely respects the laws, fulfils all obligations to the state and fosters good cooperation with community in which it operates. Within the traditionally good cooperation with local government of the Municipality of Ljubovija, last year the mine provided free of charge over 2,500 m3 of mine overburden for the recovery of local roads in the municipality destroyed and damaged during the floods in May 2014. For the recovery of roads mine machinery was also used. Using its own funds and equipment the mine recovered and put in use the local road to the hamlet Veslinovići-Kolarica 1.5 km long and the local road to hamlets Pavlovići-Gačevića 1.3 kilometers long. Within the aid for the local community of Selanac, the mine Veliki Majdan provided electricity supply to that settlement via mine’s transmission line, as well as the utilization of a passage through the mine field until the recovery of the local road damaged by the landslide. For the business year 2015 was planned the production and processing of 51,700 tons of ore in accordance with the production and processing capacity of the mine, expanding of the scope of research work in order to provide new ore reserves and create new jobs for that purpose, while the cooperation with local government was planned on the projects of the improvement of living conditions and environmental protection. 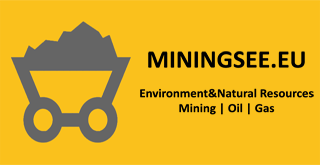 The mine Veliki Majdan operates within Mineco Group, whose main activities are trading non-ferrous metals and ore concentrates, investing in mining and geological research. Beside this mine, Mineco independently or with partners, operates the lead and zinc mine Rudnik near Gornji Milanovac, prepares for the opening of lead and zinc mine Bosil-Metal near Bosilegrad, while in Bosnia and Herzegovina conducts exploration activities in an old antimony mine near Novo Gorazde and in cerussite mine near Olovo, and operates with a partner the lead and zinc mine Sase near Srebrenica. Mineco together with partners employs around 800 people in Serbia, and more than 1,300 people in the region.